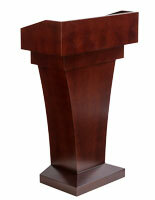 This wood podium is great for organizations that don't want to break the budget for podiums. 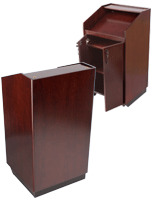 When companies buy these pulpits, they are actually getting two for the price of one. 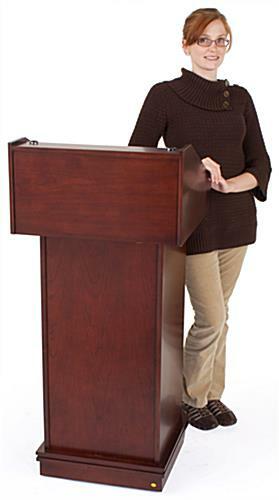 They change to counter top aids for presentations. 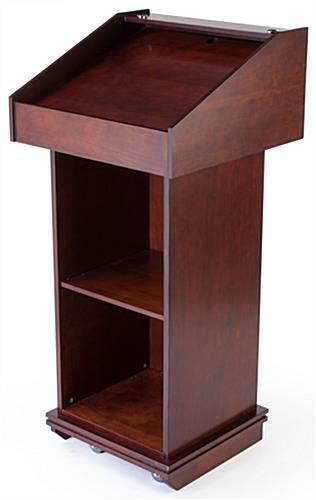 This dual-purpose lectern comes in a real wood veneer mahogany finish. 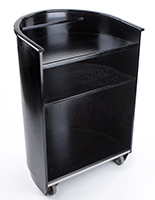 Hidden wheels provide easy transporting and a hidden shelf provides a handy place to store drinks or notes. 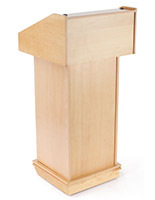 This wood podium is competitively priced but no stranger to quality. 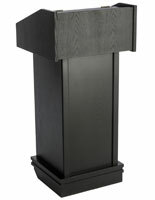 22.4" x 48.0" x 21.8"
A very poor product. Finishing is low grade. 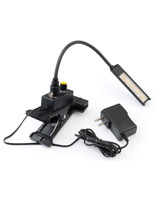 Assembly Instruction is very poor. Design is not good. Borderline homemade looking. 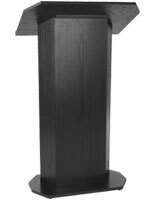 The shelf underneath falls out when the podium is tilted to be relocated. 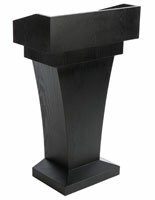 It falls out and will injure someone's toes. 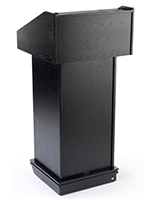 We purchased several items from Podium2Go before, from Cash wrap registration counters to aluminum sign stands. Very please with those products. But this one is bad. 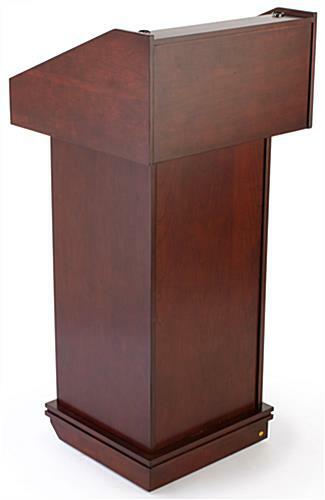 Podium2Go should not sell it.